“When you were young and on your own / How did it feel to be alone?” When Neil Young sings ‘Only Love Can Break Your Heart’ in 1970, he gently coos the words over a galloping waltz. The tone of the piano and guitar dancing together in unison is warm, as if to comfort you after a heartbreak. When Sarah Cracknell sings it with Saint Etienne, the same question lays delicately over a breakbeat and Italo house-influenced piano. The compositions contrast greatly, but the lyric carries the same weight. At 21 years old, it feels both freeing and melancholic to be alone in the crowd at the British Library to see Saint Etienne perform their record Good Humor in celebration of its 20th anniversary. The crowd is older than me, hip professionals with canvas tote bags, buzzing about – the two British Library shows this weekend are the only UK gigs Saint Etienne are playing all year. Saint Etienne are cult heroes for their distinct brand of sunny, campy pop that’s crafted with love and a healthy dose of music knowledge and appreciation. (Founder members Bob Stanley and Pete Wiggs are ex music journalists, and Stanley wrote an expansive history of modern pop.) Their songs tend to form a specific, romanticised picture of life in perpetual springtime; they are polished, historically perceptive and – perhaps most important – incredibly accessible. Bands once sacred to niche crate-digging communities are now rediscovered by the online music nerd populace. This is not the case with Saint Etienne. Though they maintain their revered cult status, the appreciation seems to come from the original community who enjoyed their records when they first came out. It can feel somewhat strange that a group who made a name for themselves as connoisseurs of retro-futurism hold the same fanbase they began with, largely missing the era of internet fandom. 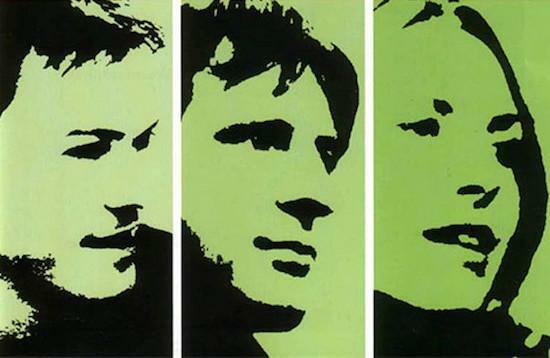 That’s not to say that Saint Etienne are out of touch – quite the opposite. Last year, for example, they remixed ‘Trampoline’ by Kero Kero Bonito, a group whose status relies greatly on their internet fanbase. Much like Saint Etienne, KKB make accessible joyful music; the collaboration joined together two generations heading into escapist bliss. But when times are arduous – perhaps especially for younger generations tasked with creating a life in the face of extreme social, political and ecological uncertainty – perhaps this heedless joy of pop is too fantastical, too trite. Truth is, I have never felt less like everything is going to work out fine. The other people in this room likely got to hear this song when they were around my age, when it first came out in 1991. They got to experience it in their youth, along with Saint Etienne, who frolicked around vibrant early-90s London for the music video. It was a scene from a very different world, with a glass-half-full mindset that no longer exists – at least not with the same sincerity. But standing here, among an audience no longer burdened by the unknown paths of adulthood, I feel – just in this brief moment – like maybe everything will indeed work out fine.